Currency, no matter in whatever form it is, it’s important. Since all of the purchases that need to be done are supposed to take place with some sort of a currency, you need a place to actually store it and use it whenever needed. Just to store it and for the quick access the wallets came into being. But that’s all physical, what do you do about a currency that is all digital? For such currency you need to have a wallet that is digital as well. This is common sense. So in short, you need a cryptocurrency wallet, that is in simple words, a secure digital wallet used to store, send, and receive digital currency. But if you’re a beginner and want to get the best names in town to keep that money safe. You need to go for a wallet that is very less in its cost, provides the best security, that is keeping a record for that currency, it must have good accessibility and you must be able to use it anywhere with ease, the interface of the wallet should be made in such a way that it could be used easily, their service should be fast so that you don’t waste anytime also in the end, it must be stylish. There are different kinds of wallets. Desktop, mobile, online, hardware and paper. Each kind differs from the other. Here is the list of the top 10 best and safest cryptocurrency wallets that you must be aware of, wallets that fulfill all of the characteristics of being the best. We will start our list with something that is free and is going to help a lot of the users. 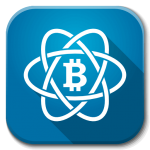 Electrum, a software wallet that was designed to give users the freedom to manage their funds and private keys in a secure manner. 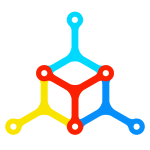 In area of compatibility it is solid as well as it keeps the keys offline and also integrates them with other hardware wallets as well. It is very user friendly and is light weight for the desktop. What more can we tell you about Mycelium. It was awarded the “Best Mobile App” back in 2014. Very prominent part of their service is the bank-grade security so once you have it set up you don’t need to get worried about anything at all. Back in the same time it had the most stars on Google Play as well. The user friendliness is on its peak for the app and they are constantly upgrading it with more and more features only to facilitate their users. They are also, as we speak working on a personal finance tool to pay your bills and manage your finances and investments. Exodus stands tall above all of the names that we have tried to mention here, if only it was about the best designed cryptocurrency wallets. Exodus holds the uniqueness for being the first desktop software wallet to have ShapeShift built into the interface that helps rapid conversion between various altcoins and cryptocurrencies. But that’s not where the fun rides ends for this app, it also allows you to store private keys alongside the power of customizing the interface as much as possible. Best thing is for the software to be free and it being available on Windows, Mac and even Linux. 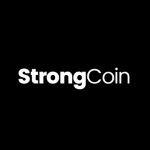 Talking about hybrid wallets, comes the name, StrongCoin. They provide service like any other cryptocurrency wallets. Their security is tight and they keep money in the loop with privacy. They keep the money encrypted before it reaches their servers. It is also one of the longest running wallets. They are user friendly as well and keep the charges as low as possible. Although the wallets are all free to be created but they still charge a small transaction fee that depends on the amount of the transaction. 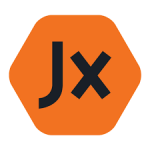 Next comes Jaxx, that is free as well. 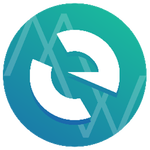 They provide the cross-platform support as well and they also offer the multi-currency wallet. They also quite recently introduced the “Ice Cube” that is a hardware wallet. Their security is tight as requirement but the new updates are not always stable. When it comes to mobility they are available on all of the platforms and they also provide shapeshift integration. You can access it all from the mobile and the way interface works it always puts a smile on the users face because the UI is completely pleasant. MEW, can be another one of the good options for best and safest cryptocurrency wallet. Once again, they’re free so if you get something for free with this much flexibility for the usage then it’s a win-win. They also have offline GiftHub download available and their private keys are recorded down as well, only to equip their users with as much of the mobility as possible. In case of user friendliness however, they lack a little bit and that is because of their steep learning curve to achieve security. Also they don’t keep their users relax as they require authentications as well. But hey! That’s exactly what makes them safe. 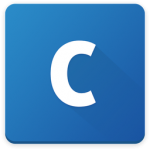 This name has been ringing in the world of cryptocurrencies and the reason is their large user database. Millions of people are signing up every day to be on their platform and to enjoy 100% cryto insurance. The security they provide is also one of its kind with their multi layered locks. As they’re web based the mobility might not impress you but they are as beginner friendly as possible. They also provide convenience to their users by instant transfer to GDAX and buy and sell online. Their app is user friendly as well. For our top three, it’s going to be all apps that are not free. First comes Trezor that is going to cost you $99 for the beginning. But when you pay this price you’re going to get one of the gold standard security in all of the crypto wallets present. The mobility is on its top because they provide hardware wallet with requires a USB. The UI is simple as well so ten stars for the user friendliness. So you need to keep a good care of that USB because it will ask for password for authentication and it is shock tolerant as well. Just in case if your original physical wallet is a little light with its weight then you need to go for Nano Ledger S, that comes for just $65. Their security is also one of its kind and is going to provide you the best deal for the money. The size of the hardware too, is quite medium so you can get as much mobility as possible and it also requires USB. 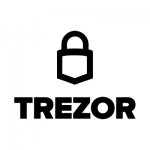 They have designed the UI so simple that anyone with a normal knowledge of currencies and banking can get it sorted and just like Trezor they also require USB and password authentication. The design! Is the main attraction here, with the thumb drive shaped outlook. 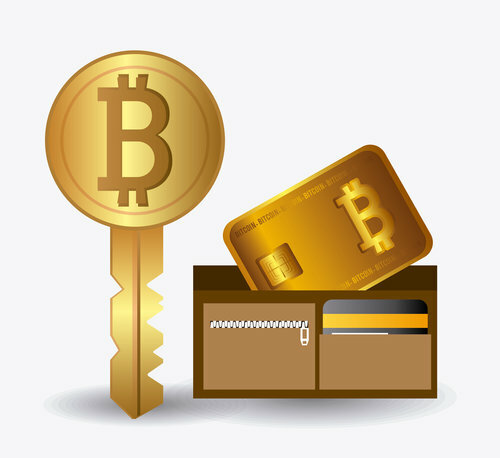 On top of all of the cryptocurrency wallets, stands KeepKey. They’re known for their style that is an anodized aluminum OLED display. Everything else is as same as the others like requiring the USB and password authentication, simple UI and also the mobility getting reinforced with a large hardware wallet. The security, at the end. Is the forte, they’re ported with Trezor’s code and firmware so this is another reason why KeepKey is going to be our number one. All of this for just $99. Next articleInvesting in Cryptocurrency – Is it a safe bet?